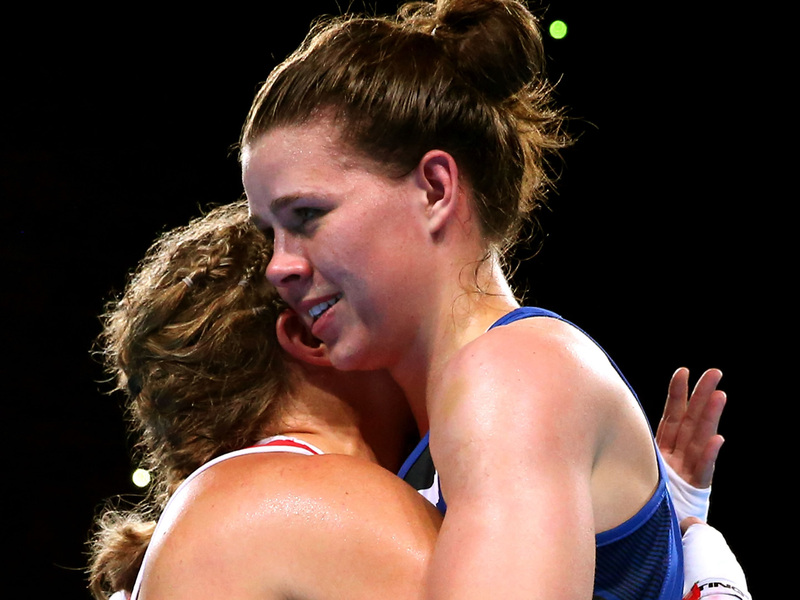 SAVANNAH Marshall secured her place at the 2016 Olympic Games today as quarter-final victories for her and Nicola Adams saw Great Britain guarantee two medals at the AIBA Women’s World Championships in Astana, Kazakhstan. Marshall from Hartlepool defeated Qian Li of China to secure one of the four Rio qualification places on offer at the World Championships in the middleweight category. She will join flyweight, Nicola Adams, who secured her place at the 2016 Olympics when she won the European Qualifying event in Turkey in April of this year. The pair will be Team GB’s only female boxing representatives in Brazil where the boxing completion will be held at three weights (flyweight, lightweight and middleweight). Great Britain will not have a boxer in the lightweight category after Chantelle Cameron failed to qualify when she narrowly lost to Mira Potkonen of Finland in the second round of the World Championships which is the final women’s qualifier for Rio. Marshall and Adams will join Galal Yafai, Muhammad Ali, Qais Ashfaq, Joe Cordina, Antony Fowler, Joshua Buatsi, Lawrence Okolie and Joe Joyce as part of a GB Boxing team that is currently made up of 10 people. It could rise as high as 12 depending on how the men perform in their two remaining qualifying events in Azerbaijan and Venezuela when they will look to qualify boxers at light-welterweight and welterweight. Marshall, who was part of the GB Boxing team at London 2012, said: “I’d like to thank all of my team, my team mates, my coach Tim Coulter, Sky and my family and friends for all of their hard work in supporting and believing in me. Adams and Marshall are both guaranteed at least a bronze medal at the World Championships and have a chance to improve on this when they compete in Thursday’s semi-finals. Both boxers have a good track-record in the World Championships. Adams won silver medals in 2008, 2010 and 2012; Marshall won silver in 2010 and went one better in 2012 when she became the first and only female boxer from Great Britain to win the World Championship. The only disappointment on medal-winning day for Great Britain’s women was a defeat for Derby’s, Sandy Ryan, who lost to Wenlu Yang of China in her light-welterweight quarter-final. Thursday’s semi-finals will be shown live on the BBC Red Button on Thursday 26th May from 1000-1230 and 1400-1630. Friday’s finals will be live 1000-1500.